With budget cuts, turnover and staffing shortages, special education departments all over the country are scrambling to provide critical services. eLuma Online Therapy hopes to not only help schools answer these challenges, but to also improve student outcomes. As a part of this, eLuma has announced that it is launching an exclusive pilot program for select districts across the US. For just $500 per student, eLuma will provide unlimited IEP services for three months. Districts will gain access to a live, online speech therapist, or online occupational therapist in certain cases. In addition, eLuma will provide up to 10 licenses for district staff to access its proprietary curriculum platform, as well as scheduling, data tracking, progress monitoring, and robust reporting tools. "Through this program, we hope to give schools confidence in the real value of online therapy so they can move forward and meet the many challenges they face," explained eLuma founder and president, Jeremy Glauser. Online speech therapy, online occupational therapy, and online mental health services have emerged as a great solution for schools and districts all over the country. Contrary to common perception, online therapy is not in competition with onsite therapy. eLuma specializes in blending the two together, so districts can get the best of both worlds. Onsite staff bring tremendous value to the schools and students they serve, and so do online therapists. Online therapists help extend the capacity of district staff and alleviate high workloads, eliminate wasted travel time, increase efficiencies with planning and prep, bring specialization, and ultimately help close the student achievement gap. With each passing year, there is a growing body of proof (both qualified research and anecdotal experiences) that telepractice is not only effective, but yields outcomes that are highly competitive with traditional onsite therapy. Several recent studies suggest that children may make similar progress regardless of whether services are delivered via teletherapy or in the in-person mode (Gabel, Grogan-Johnson, Alvares, Bechstein, & Taylor, 2013; Grogan-Johnson, Alvares, Rowan, & Creaghead, 2010; Grogan-Johnson et al., 2013), and a few even suggest that teletherapy may actually produce better results (Towey, 2013). School-based teletherapy delivery for speech pathology is also perceived positively by stakeholders including the students, parents, teachers, and administrators (Crutchley & Campbell, 2010). Not surprisingly, many students actually prefer therapy delivered via a computer. 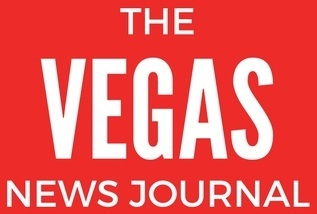 As such, organizations like the American Speech Language-Hearing Association (ASHA), the US Department of Health and Human Services Health Resources & Services Administration (HRSA), the Mayo Clinic and the American Telemedicine Association (ATA) have fully endorsed telepractice as a completely viable solution. eLuma is a premier provider of live, online therapy for K-12. They offer online speech therapy, occupational therapy, and physical therapy, as well as psych, counseling, and behavior intervention to K-12 schools and districts all over the US. eLuma presently serves over 3,500 special education students in 25 states. With a large network of high-quality and credentialed therapists, as well as a proprietary platform, eLuma ensures that schools and their students get what they need in the most effective, efficient and dependable way. 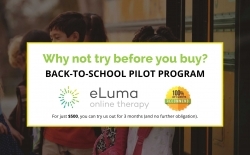 If you are a district or school interested in eLuma’s Pilot Program, please click this link to apply: http://www.elumatherapy.com/full-service-online-speech-therapy-pilot-program/. Otherwise, you can visit their website here: http://www.elumatherapy.com/. “Due to the severe shortage of available speech language pathologists on Maui and opportunity for great efficiencies, we decided to try a new service delivery model. 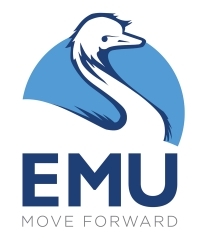 We decided to begin a pilot project for on-line speech therapy delivery with eLuma as our service provider.